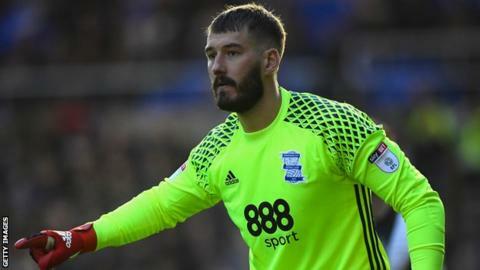 Birmingham City have triggered a one-year contract extension to keep goalkeeper Adam Legzdins at the club until the end of next season. The 30-year-old rejoined Blues, his boyhood club, in June 2015 after leaving Leyton Orient and has made 21 first-team appearances. His early experience came during loan spells at Alfreton, Halifax, Oldham and Macclesfield. After leaving Birmingham in 2010, he played for both Burton and Derby.